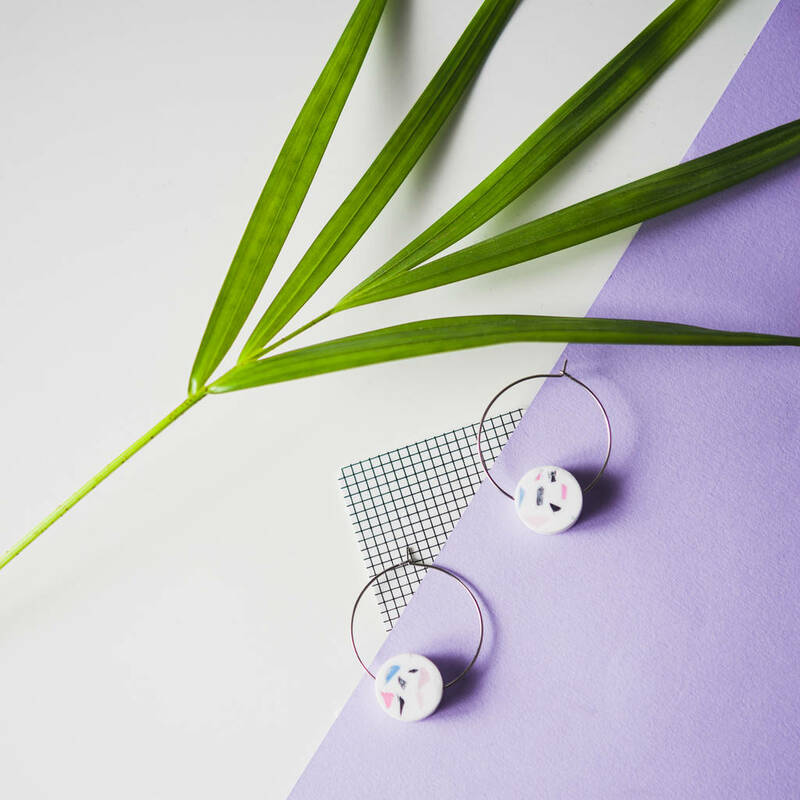 Polymer discs inlayed with multicoloured speckles to create a terrazzo effect, on stainless steel hoop earrings. 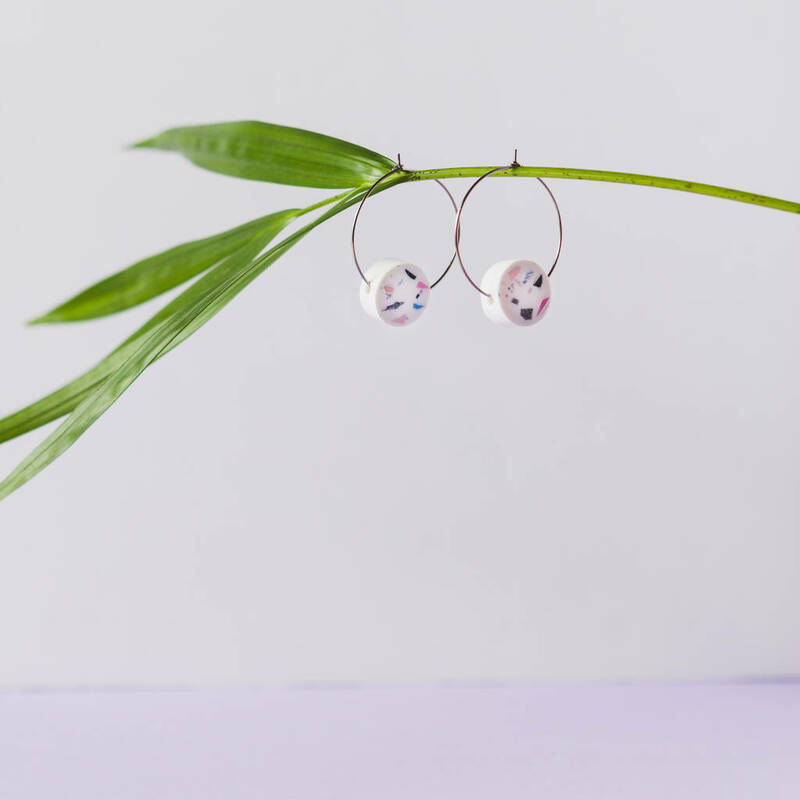 Statement hoop earrings made from stainless steel & matte white polymer clay discs that have been inlayed with multi coloured speckles to create a terrazzo effect. The disc measures 1.5cm across & approx 0.6cm deep. 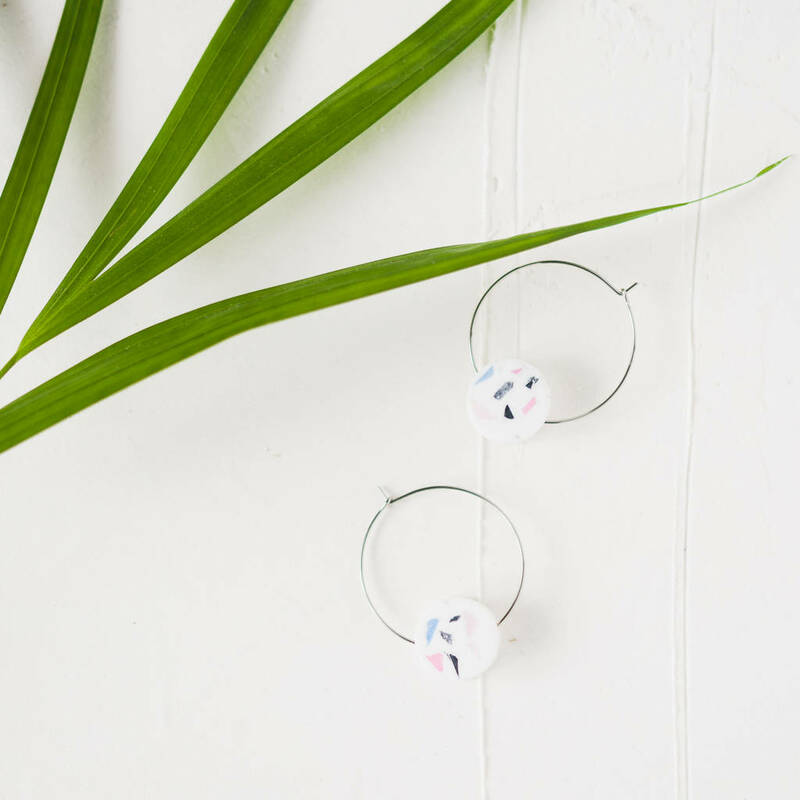 The the delicate stainless steel hoops are are approx 3cm across & 0.1cm thick. 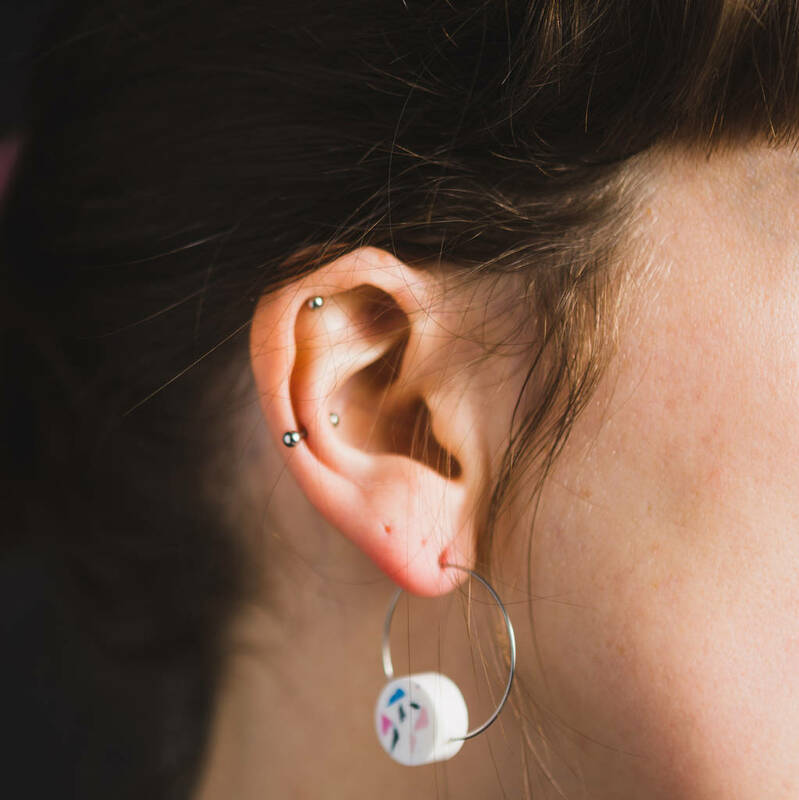 PLEASE NOTE: Part of the beauty of these earrings is that each piece has been individually hand constructed & no two will ever be identical, so please allow for variation in colours & pattern. The polymer clay discs measure approx 1.5cm across by 0.6cm deep. The hoops are 3cm across and are 0.1cm thick. 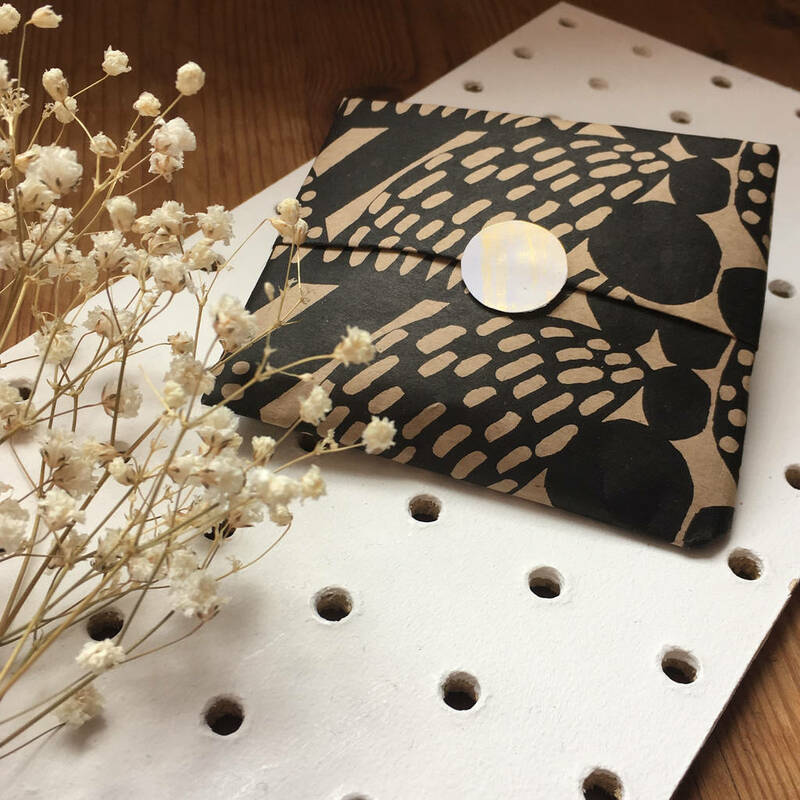 This product is dispatched to you by KatieBetty.